This is a great item to add to your Turbo collection. It is a single accessory bag that can fit into any bowling bag you have. It can easily hold any of those smaller accessory items that tend to get lost in the main part of the bag. 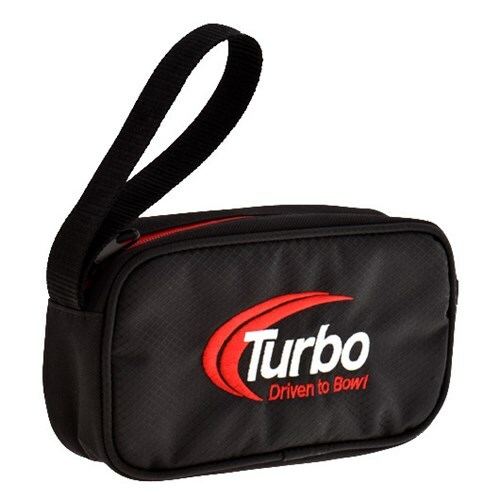 Dimensions: 8" x 4.25" x 2"
Due to the time it takes to produce the Turbo Driven to Bowl Mini Accessory Case Black ball it will ship in immediately. We cannot ship this ball outside the United States.